With changing times, the competition across most industries has gone up by several folds. Today, each participant has the means to innovate and maintain a high standard to stay ahead in the race. Healthcare industry is no different. There is an escalating demand for cost-effective quality healthcare services amongst the customers. The expectations of the consumers for best quality services has also risen, which has indeed lead to the introduction of numerous national and international accreditation bodies which ensure that healthcare facilities strive for excellence in quality. National Accreditation Board for Hospitals and Healthcare Providers(NABH) is one such body which acts as a quality assurance mechanism, thus ensuring that the customers have access to better healthcare service. Established in 2009, NABH Consultants is a knowledge services organization helping healthcare institutes achieve NABH accreditation. customers better. That was how we envisioned what we must be when we started, and we continue with that credo. We carry extensive domain experience in the industry, having been associated with some of the leading players in the industry, we have a methodology for each of our offerings in place,” says Rajyalakshmi, Founder, NABH Consultants. There are very limited number of organizations offering consulting services in the area of healthcare and especially in the domains of managing patient experiences, healthcare organization quality processes and, learning and development. NABH Consultants is bridging this gap by offering three major services to the clients including NABH accreditation consulting services, patient experience management consulting and training services. “At NABH Consultants, we offer specific NABH accreditation consulting services which could be personalized and used in the way that is best for a hospital, and that meets the NABH accreditation requirements. Additionally, the consulting firm also does a detailed inspection of the hospitals to create a document that highlights a specific hospital. The healthcare management consultant also offers an initial orientation to the entire hospital team, at their convenience and premises.Essentially NABH accreditation is still seen as a road to insurance offerings in the country. We are striving hard to change that to make the hospitals see it as a quality system, which it really and actually is. 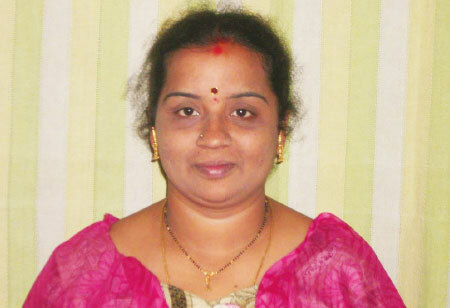 That is our approach to all our consulting and training efforts,” says Rajyalakshmi. Experienced in working with organizations such as ISO, JCI and NABH accreditations and engaged with organizations like Narayana Hrudayalaya, Manipal Hospital, Asia Heart Foundation, Clove Denty’s, KIMS and Apollo Hospitals, NABH Consultants is also working with many infrastructures, Agriculture, and Information Technology verticals especially in the area of Content, Leadership training, Outbound training, HR consulting services, and other related areas. “At NABH, we understand the specific needs that each one of our customers has for their organization. We approach each of the hospitals with individual perspective but with the richness of the experience that we carry, and we are uniquely positioned to understand your specific needs,” adds Rajyalakshmi. With its commitment to solving their client’s challenges, NABH Consultants is marching further with a vision to play a more active role in the country. “We are also in the process of setting up a global content services company which should be a reality in the next few months to come. We will be small but be the best!,” signs off Rajyalakshmi.